H ave you had a chance to check out OCN’s latest report on nursing demand? The report, released at the end of June, shows a growing demand for registered nurses in Oregon and a projected shortage of nurses in the near future.  OCN worked with local hospitals and health systems, skilled nursing facilities, home health and hospice agencies, and public health departments across Oregon to collect information on current and projected hiring needs for nurses. The report also contains nursing supply and demand projections based on the 2016 Nursing Health Workforce Model developed by the Health Resources and Services Administration adjusted using precise data on Oregon’s nursing workforce. The report contains detailed information on a variety of health care sectors, but here are a few of our favorite takeaways from the report. These posts and more are available on OCN’s Twitter feed and Facebook page.